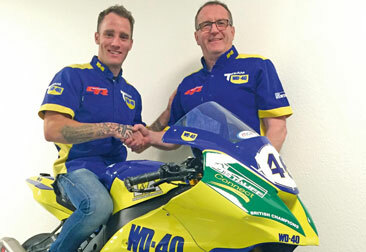 The 28-year-old from Devizes has signed a deal with Managing Director Brent Gladwin to ride the Team WD-40 Superbike continuing the long association with title sponsors WD-40 and support from Kawasaki UK for the 12-round series. Bridewell, a two-time MCE BSB race winner, was a podium finisher at Oulton Park last season as well as setting pole position at the final round at Brands Hatch, eventually finishing 11th in the final standings. He returns to Kawasaki following a successful spell in 2013 aboard the Halsall Kawasaki which resulted in two podiums. Gladwin, who has masterminded a number of British Championship successes in recent years including winning the 2016 Dickies British Supersport Championship with Tarran Mackenzie, will continue the partnership with former Grand Prix Team Manager Geoff and support from Kawasaki UK. The opening round of the 2017 MCE Insurance British Superbike Championship takes place at Donington Park on March 30 – April 2. For further information, please visitwww.grmotosport.co.uk and www.britishsuperbike.com.